This isolation helped the people of Mustang to maintain their lifestyle and heritage that remained almost unchanged for centuries. 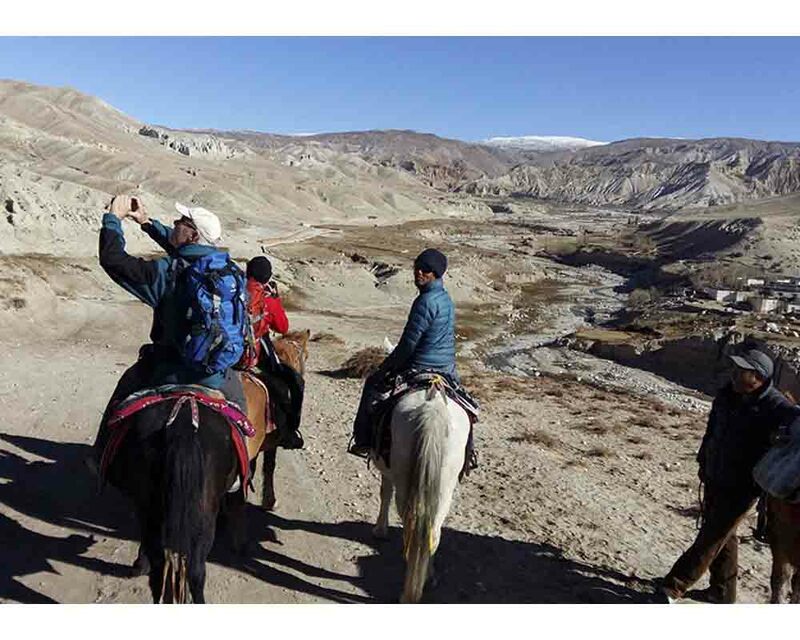 Hidden behind the majestic Himalayan ranges, Mustang is filled with beautiful trekking zones. At present Mustang is a very popular trekking region in Nepal. The Home Ministry of Nepal announced the opening of the restricted areas in October 1991. There is also strict control in obtaining a special permit from the Department of Immigration to protect their tradition from outside influence as well as to protect their environment. 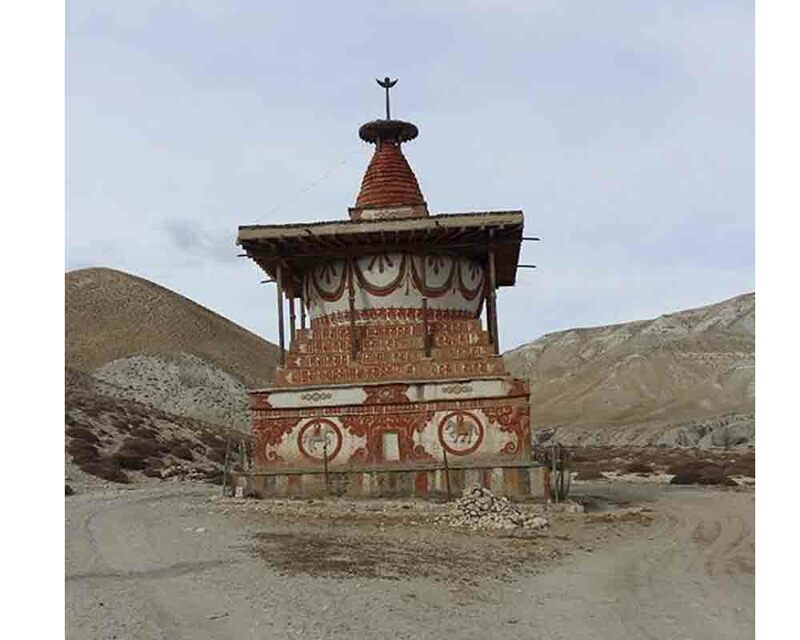 The high desert region of the Tibetan influence, Kaligandaki, from the Tibetan border south to Kagbeni is generally referred to as “Upper Mustang" that has its own nominal king. The Mustang is one of the very few places on earth which is not spoilt by trekkers. Being under the rain shadow of the Himalayas, the area receives scanty rainfall making the region dry and arid-very similar to the adjoining Tibetan plateau. The trek to Lo-Manthang is through an almost tree-less barren landscape, a steep rocky trail up and down hill and panoramic views of Nilgiri, Annapurna, Dhaulagiri and several other peaks make your trek memorable. Upper Mustang consists of two distinct regions: the south region with five villages inhabited by people related to the Managis; and the northern region (the ancient kingdom of Lo), where the language, culture and traditions are almost purely Tibetan, the capital of Lo is named manthang, which translates from the Tibetan as ‘plain of aspiration’ many texts refer to the capital as Lo Manthang, but this is not strictly correct, Other texts spell the name of the kingdom as Lho, but this is a transliteration of the Tibetan word for ‘south’ and is also incorrect. 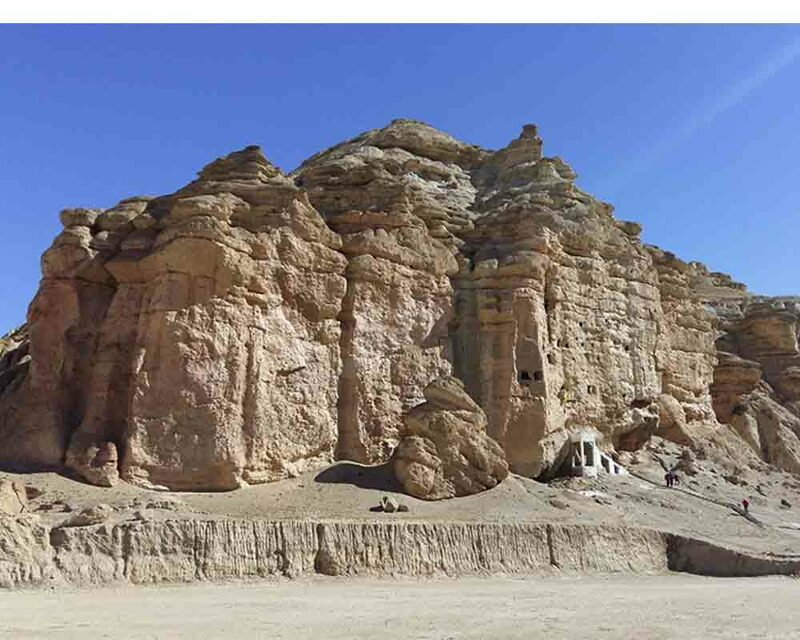 Thus the portion of the upper Mustang district north of Samar is Lo and its capital is Mustang the king of Lo is the Lo Gyelbu, though I use the Nepali term raja here. To avoid total confusion with existing Maps and texts, I also refer to the capital of Lo as ‘Lo Manthang’. Sightseeing in Katmandu,( Monkey temple, pashupatinath temple, Boudha stupa and Katmandu Durbar square. It would be easy for you if you have your own group if not also we can arrange a group trek according to your request. You would be joining the group in Kathmandu. If you want to have a solo trip then we are always ready to help you again with single supplement charge. We try our best to make your comfortable holiday in the beauty of Upper Mustang Region. Climate in Nepal is diversified depends on season. From the low level to highest point of the World, it starts from hot to cold region from South to North. You can travel Nepal in any season but the best time to visit in Upper Mustang Region is autumn & spring. If you are in autumn the weather is perfect and sky is crystal clear but in spring the weather seem little cloudy but the full blossoming Rhododendrons are awesome. In Summer visibility is poor and there is less chances to see the himalayas and in winter it is very cold in mountain but still possible to do this trip. 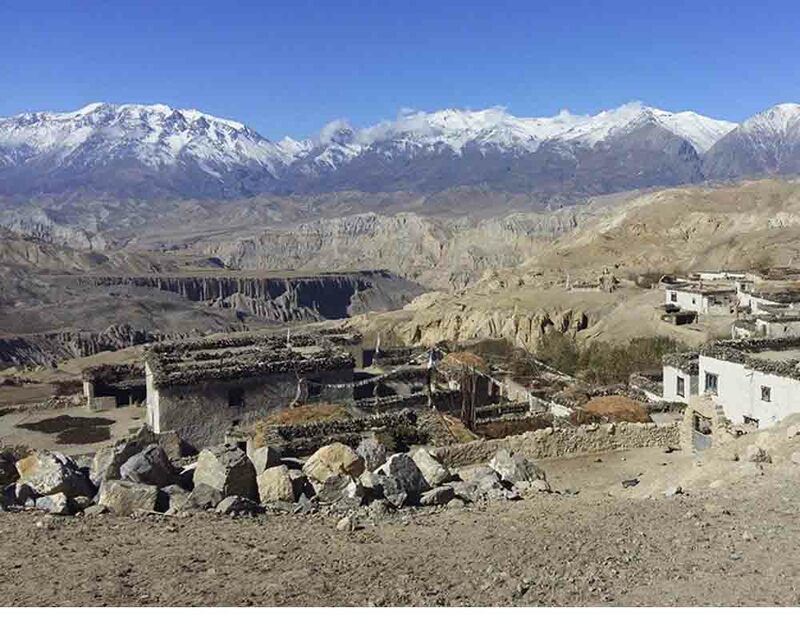 While you travel Upper Mustang Region, you need to obtain the entry permits and TIMS permit. All the applicable permits and entry fees are including on the given cost except personal contribution and donations. In case of extra charge and payment, the agency will inform you. NEAT is highly aware with Environmental concern and keep right ecological system. There shouldn’t be awful impact while you travel around the Upper Mustang Region. So, we involve some campaign of cleaning trekking trails, works with KEEP project etc.